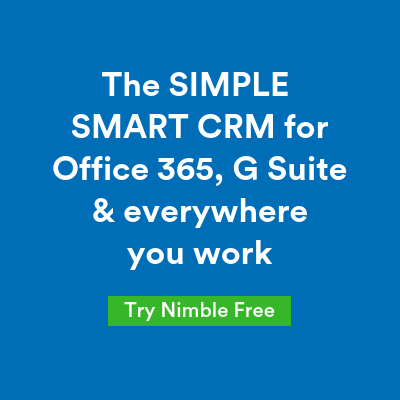 Nimble’s Modern Workplace series takes a look at how Nimble and Microsoft are helping you build better relationships everywhere you work: within Office 365 desktop apps, your inbox, collaboration apps (including Teams and Skype), or while browsing the web with the Smart Contacts add-in. The Nimble Smart Contacts add-in works within your Edge browser to help you gain more social and business insights on pivotal leads and contacts that you intend to build mutually beneficial relationships with. Let’s dive into how Nimble works within Edge to instantly build and update contact records with information including social insights, phone numbers, email addresses, company Intel, and more. The Nimble Smart Contacts add-in enables you to add a contact into your CRM directly from your Edge browser. This is very handy on websites such as Instagram, Twitter, and Facebook. By hovering over or highlighting a contact’s name, you can effortlessly build detailed contact records enriched with actionable business and social insights. These insights include company information, location, title, phone number, CEO, revenue, and various social handles. Log notes, and much more. All of which can be done right within the add-in. When working in the Nimble Smart Contacts add-in, you can easily access your relationship history with your contacts. You can also sync emails to your contact’s record and scan upcoming activities associated with that contact. Nimble recently released a feature enabling users to create and track calls directly within your Edge browser to help your business stay on top of follow ups, maintain and improve relationships, and measure your team’s success. This feature includes the ability to schedule a call date/time, log call durations, call resolution, completion date/time, and more. You and your team can log calls from the past, present, and for the future. This becomes essential in many situations, such as when you receive an email from a contact and need to quickly call them to follow up on an action item. This feature also allows you to share the outcome of the call with the rest of your team. Here’s an example you can surely relate to: while attending a conference, you’ll undoubtedly receive an overabundance of business cards from contacts and prospective clients. You can easily scan these business cards directly into your CRM and create enriched contact records for your new connections using the Nimble mobile app. Once you have scanned these business cards into Nimble, you can then visit their LinkedIn record and open the Nimble add-in to learn more about your contact, such as social insights and Kred score. Once here, you can use the Nimble Smart Contact app for Edge to schedule a time to follow-up using the Task feature. Additionally, you can set up reminders using the Stay in Touch notifications to reach out to your new connections and possible leads on a weekly, monthly, or annual basis. The Smart Contact add-in for Microsoft Edge allows you to seamlessly log a touchpoint from your contact’s record and update your existing Stay in Touch reminder. 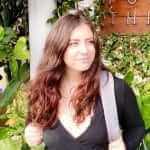 Nimble will then update the record for you when there has been an interaction with a contact. After creating notifications to keep in touch with your new connections, you can then use the Multiple Deal Pipeline feature to manage your business opportunities directly from within Nimble Smart Contacts Add-in for Edge. These pipelines can be used to track anything from your sales funnel, opportunities, existing campaigns, and more. You can also create a new deal without even having to toggle between tabs with the Smart Contacts add-in. Select an expected close date, the exact pipeline and stage that you would like this deal to appear on, and (if you are working with a team) assign the deal to another team member to take next steps. 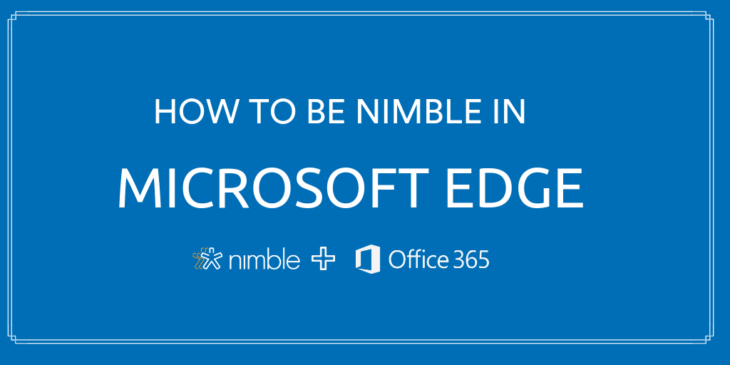 These are only a few of the ways you can utilize the Nimble Smart Contacts add-in for Edge. Nimble offers many more features that help make your life easier by building and managing relationships more effectively and efficiently. You can learn more about the Smart Contacts add-in for Edge here.